90% of the 2017–2018 full-time student body received financial aid. 98% of the Class of 2017 were employed or enrolled in graduate school within six months of graduation (98.8% survey response rate). • John Brown University is accredited by the Higher Learning Commission. Established in 1919, JBU is a private Christian university preparing to celebrate 100 years of Christ Over All. We offer a highly ranked experiential education to over 2,500 students who are developing their intellectual, spiritual, and professional lives. We are committed to integrating authentic faith and experiential learning in every academic discipline. Nursing, Science, and Human Services students learn to weave together faith, learning, work, and life as part of our holistic “Head, Heart, and Hand” approach to education. Nursing, Biology, and Family and Human Services are among the University’s top five programs by enrollment. Last year, we awarded financial aid to 90% of the full-time traditional undergraduate student body, and JBU students borrow less on average than students at public universities (based on data from lendedu.com for the Class of 2016). JBU is ranked the #18 “best value” school among southern regional universities (U.S. News & World Report, 2018) and the #4 “Best College for Getting Big Merit Scholarships” (Money magazine, 2017). 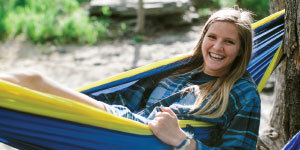 JBU offers several academic and competitive scholarships as well as need-based aid. JBU’s financial aid staff go above and beyond to help students afford JBU whenever possible. Ninety-eight percent of the Class of 2017 were employed or enrolled in graduate school within six months of graduation (98.8% survey response rate). That’s due in part to the emotional intelligence and ethical commitments produced by our holistic approach. Approximately 75%–85% of students who complete the Pre-health Professions Program at JBU are accepted to professional school. The success rate approaches 100% upon reapplication during the following year. Northwest Arkansas is host to several Fortune 500 companies, world-class art, an active outdoor culture, and the #5 “Best Place to Live in the US” (U.S. News & World Report, 2018). JBU has a truly beautiful campus in Siloam Springs, Arkansas—a great location in the middle of the United States with an excellent airport just 25 minutes away. Northwest Arkansas is one of the best places in the country to start a career right now, and our students and graduates have tremendous opportunities here. JBU’s traditional BSN program is our largest program by enrollment and seeks to equip students to follow their calling to serve others through a successful nursing career. 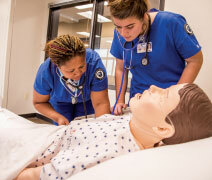 The program is housed in JBU’s new Health Education Building, where students are trained with cutting-edge simulation technology to help them respond to real-life medical scenarios. Ninety-six percent of 2018 JBU Nursing graduates passed the NCLEX licensure exam on the first try (compared to the national average of around 90%). The Department of Kinesiology offers a Bachelor of Science in Kinesiology with emphases in Health and Wellness or Sports Medicine. 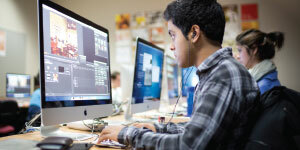 The baccalaureate curriculum may lead to entry into professional degree programs in the allied health professions such as Athletic Training or Physical Therapy, as well as graduate studies in Exercise Physiology, Health and Wellness, Kinesiology, Sports Psychology, and other related fields. It also prepares students to conduct individual exercise programs and fitness testing. The Pre-health Professions Program equips and encourages students interested in pursuing acceptance at professional school and a career in the health professions. Students applying to the program are typically Biology, Chemistry, or Biochemistry majors. Upon acceptance, students are given feedback on their personal strengths and growth opportunities, as well as suggestions as to how they may enhance their chances for admission to professional school.